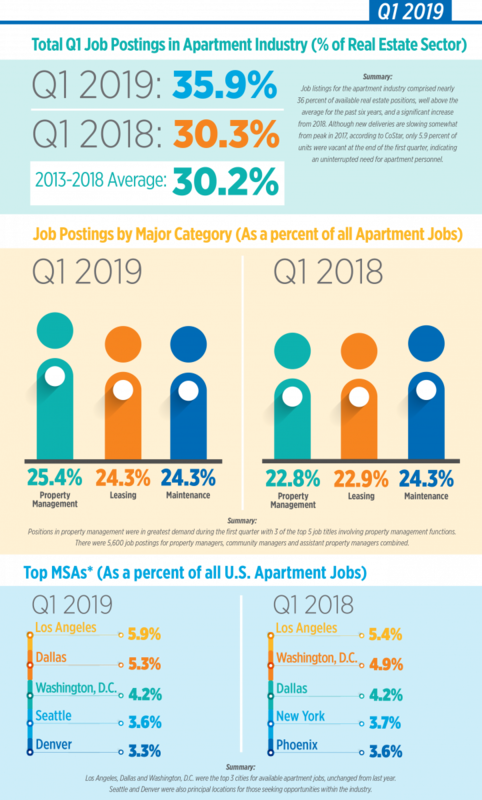 The Apartment Jobs Snapshot is a monthly product from NAAEI highlighting labor force trends in the rental housing industry. It examines the total job posting trends by position, category and geography, as well as providing fresh and detailed updates for industry employers. The snapshot will feature enhanced analysis at the close of each quarter. Job listings for the apartment industry comprised nearly 36 percent of available real estate positions during the first quarter, well above the average for the past six years and a significant increase from 2018. The NAAEI monthly metro ranking showed Denver on top in terms of the concentration of jobs in apartments versus other property sectors. 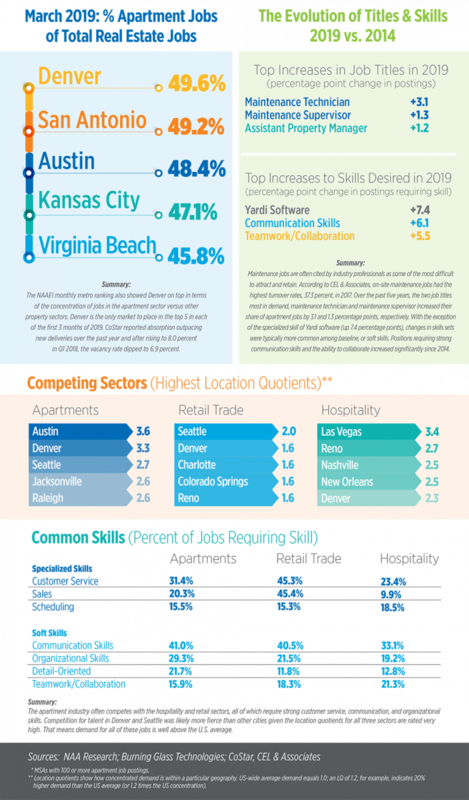 Competition for talent in both Denver and Seattle was particularly fierce given the high demand for jobs in the industry as well as in hospitality and retail.